But, these days teenagers, up to the age of 18, are legally required to stay in education, training or get a job with accredited training, something the government calls 'raising the age of participation'. So, for those students who didn’t do so well in their GCSEs, or don’t find the prospect of another two years at school studying A-levels appealing, here are our top three options for life after GCSEs. Apprenticeships have had some mixed press. The quality and rates of pay have been in the news, but there are lots fabulous apprenticeship opportunities out there and lots of organisations who can help, and offer you the right information; checkout The Student Room’s new Apprenticeship Hub it’s full of accurate and up-to-date information and it can even help to dispel some of those apprenticeship myths. We found a fabulous apprenticeship scheme with national company, Be Wiser Insurance - they offer a starting salary of £14,000. There are other companies doing similar, so do your homework. Not quite ready for an apprenticeship? Need to work on your skills? Don’t worry there are lots of opportunities for you to complete a traineeship – Have a look at what a company like EDF Energy can offer you. There are two types of college – 6th Form college and Further Education college. 6th Form Colleges are mostly geared up for students between 16 and 18 years old, and tend to concentrate on academic education. Further Education colleges are generally much bigger than 6th Form colleges and offer a wider range of subjects, including vocational education (Btecs and NVQs), and they’re not just for teenagers. 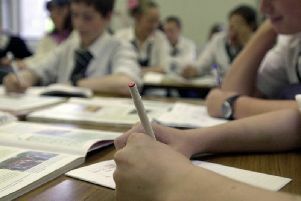 Further Education colleges offer adult education and higher education too. The GOV.UK website can help you find more information about courses offered by schools and colleges in your area if you’re between 14-19.